If you want to get a big turnout for your event, you need to advertise. And with all the different social media platforms out there today, advertising has never been easier. But even with all the social platforms available, if you don’t include the most important details, then your event will still fall short. If you have an up and coming function, be sure that you don’t forget to include these 6 details to advertise about your event. Of course, the date and time should be included when promoting an event, but you’d be surprised at how often people forget this. It’s the most basic and most crucial event detail that you need to advertise. These details should be included on the invite and all marketing materials as well. This is an extremely important detail to include when advertising an event. People should know exactly how to dress appropriately for the occasion. The dress code should also be concise yet clear. 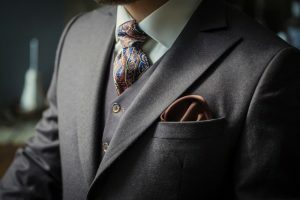 Whether it’s a black tie or semi-casual, be clear, so there’s no confusion when it comes to the acceptable types of clothing to wear. This is another basic detail that should never be left out. If possible, comprehensive directions should be included, such as how to access the venue from the closest highway, or airport. Mention if there’s parking on site or where guests can park surrounding the venue. If it’s not easily accessible, be sure to include any pictures that may help people locate the venue. Most people will also want to know what’s going to happen at the event before they accept your invitation. Giving the slightest hint or a quick teaser of the event’s agenda can pique the interest and get people excited about attending. In some cases, including the complete agenda might be a necessity in order to get people excited. For academic or fundraising events, including the name of the guest speakers can greatly increase interest. If you have a well-known presenter or celebrity as your keynote, be sure to advertise this in all the materials and online as it will help to get people talking about your event well ahead of time. Creating a witty and engaging headline about the event is an effective way to advertise it. It doesn’t have to be long; it just needs to be captivating enough to grab attention – especially if the event will be advertised through social media sites. Promoting an event might seem like an easy feat, but it actually requires a significant amount of skill in planning, organizing, and advertising. Leaving out the smallest detail can have a huge impact on the event’s success. It’s important to assess what your event advertising needs are, and then provide correct and clear details on all the marketing and social media sites. Need more event tips? Our planners at St. Elias can provide you with all the details you need when planning out your next event at our award-winning convention centre. Contact us to learn more!